Glamour. Scandal. Riches. The silent film era during the 1920s epitomized a fast-moving, hedonistic, exciting period in Los Angeles history, and nowhere was this more evident than along the Hollywood-Los Feliz-Silver Lake motion picture axis and in Hollywood proper. The largest collection of Hollywood movie making photos is on the hollywoodphotographs.com website. There are more than 1500 vintage photographs of movie making in Hollywood. Two of the screen’s greatest cowboys – Gene Autry and most revered Western movie actor of the silent era, William S. Hart – have left behind handsome museums that remain a testament to their legacy, and their love of both the real West and its Hollywood cousin. The following is an article that appeared in the Discover Hollywood Magazine. Glamour. Scandal. Riches. 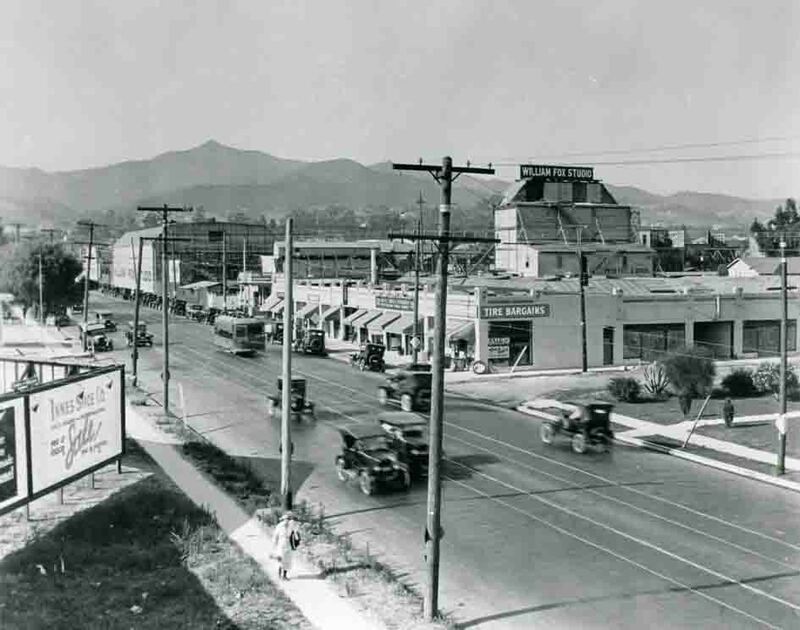 The silent film era during the 1920s epitomized a fast-moving, hedonistic, exciting period in Los Angeles history, and nowhere was this more evident than along the Hollywood-Los Feliz-Silver Lake motion picture axis. Los Feliz as a movie studio mecca? Today hardly anything remains to remind us of the thriving motion picture industry that transformed the suburban ranch and farming community east of the new township of Hollywood into an exclusive residential development. 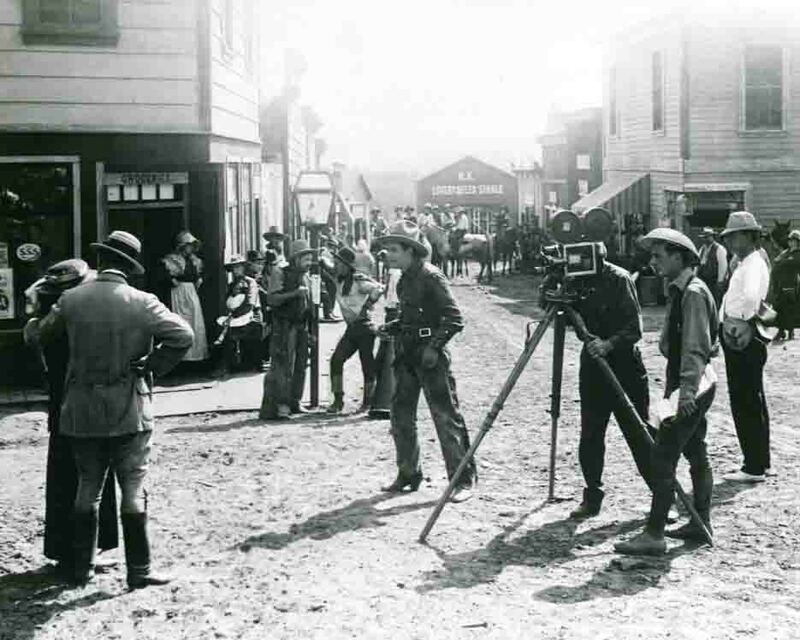 Shortly after the turn of the twentieth century, most of the film making companies were located in the New Jersey area and in Chicago. All the movies made then were ”silents” in which there was on audio when the movie was being shown. All the cameras were operated by cranking a handle that moved the film through the camera. Almost all the films were made outdoors, usually on a wooden platform stage with walls on three sides. It wasn’t until about 1913 that enclosed glass stages were used so filming could take place indoors. Because of climatic conditions in the east and in the mid-west, film production slowed dramatically when winter set in.